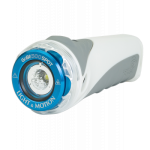 This Light & Motion Gobe S 500 Spot Beam Light has an innovative design that allows light heads to be interchanged for ultimate flexibility. Each light head delivers a particular beam pattern. The battery compartment is completely sealed, and a thick ring around the base of the light head protects the contacts. The Light & Motion Gobe S 500 Spot Beam Light is small and compact, with a design that allows you to use it both above and below the water. 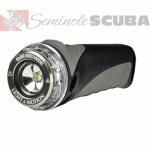 This ultimate waterproof flashlight designed to go anywhere you want features a 20° beam angle that optimized to eliminate hot spots and provide an excellent balance of beam distance and viewing angle for a variety of uses. Its custom-engineered reflector optimizes the light to provide the most efficient and effective distribution for all your outdoor activities. The 20° degree spot beam is perfect for a general use beam as a standard flashlight, bike light, or dive light. 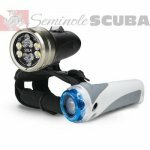 It is waterproof up to 394' (120 meters) and is constructed with the highest level CREE LEDs, with a color temperature of 6000 6500 Kelvin and optimized firmware. This light provides 500-lumens output, certified to the FL-1 standard. Its innovative design allows light heads to be interchanged for ultimate flexibility. 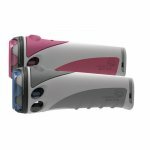 The light provides 500 lumens of brightness in high-mode, 225 lumens in med-mode and 70 lumens in low-mode. Light also has an SOS function mode for emergency signaling. The light has a burn time of 1.5-hours in high-mode, 3-hours of burn time in med-mode and 12-hours of burn time in low-mode. Light has a 4.5-hour charge time, weighs 6 oz. (172g) and measures (L x W x D) 4.9" x 1.9" x 1.9" (12.45cm x 4.83cm x 4.83cm). The light is built to last with a glass filled nylon body and tempered glass lens. Light comes equipped with a Micro-USB that provides the most versatile and convenient options to charge up, bar mount, body splash cap, head splash cap, spare O-ring, O-ring grease, lanyard and owner's manual.